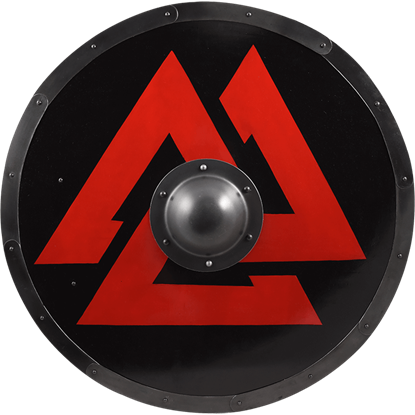 The Valknut is the symbol of Odin, protector of warriors who rewards those who die nobly in battle. 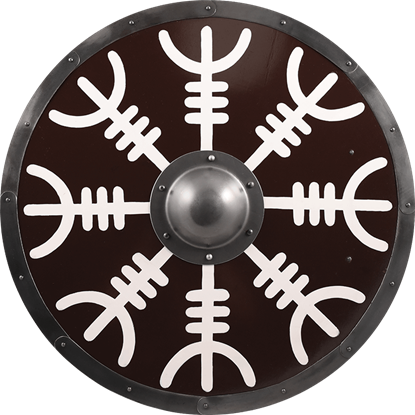 It is for this reason that Vikings would honor him by putting this symbol on their shields, as displayed by the Valknut Viking Shield. 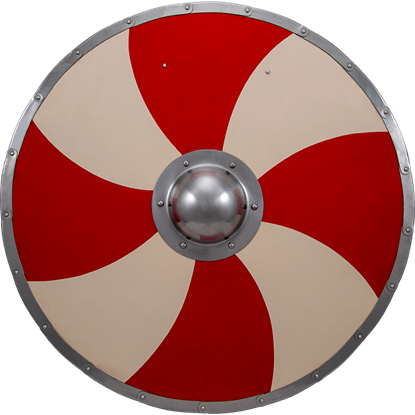 Add some defense and detail to your Norse fighters ensemble with the Viking Warriors Shield in Red and Cream. The two colors alternate in wide bands and spiral from the polished, 14 gauge steel shield boss attached to the center.